For other uses, see Saint Patrick's Day (disambiguation). Saint Patrick's Day is a public holiday in the Republic of Ireland, Northern Ireland, the Canadian province of Newfoundland and Labrador (for provincial government employees), and the British Overseas Territory of Montserrat. It is also widely celebrated by the Irish diaspora around the world, especially in the United Kingdom, Canada, United States, Brazil, Argentina, Australia and New Zealand. Saint Patrick's Day is celebrated in more countries than any other national festival. Modern celebrations have been greatly influenced by those of the Irish diaspora, particularly those that developed in North America. However, there has been criticism of Saint Patrick's Day celebrations for having become too commercialised and for fostering negative stereotypes of the Irish people. Patrick was a 5th-century Romano-British Christian missionary and bishop in Ireland. 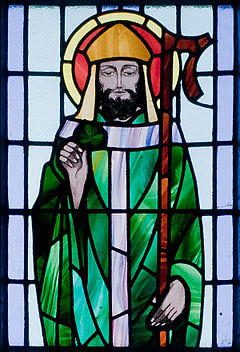 Much of what is known about Saint Patrick comes from the Declaration, which was allegedly written by Patrick himself. It is believed that he was born in Roman Britain in the fourth century, into a wealthy Romano-British family. His father was a deacon and his grandfather was a priest in the Christian church. According to the Declaration, at the age of sixteen, he was kidnapped by Irish raiders and taken as a slave to Gaelic Ireland. It says that he spent six years there working as a shepherd and that during this time he "found God". The Declaration says that God told Patrick to flee to the coast, where a ship would be waiting to take him home. After making his way home, Patrick went on to become a priest. According to tradition, Patrick returned to Ireland to convert the pagan Irish to Christianity. The Declaration says that he spent many years evangelising in the northern half of Ireland and converted "thousands". Patrick's efforts against the druids were eventually turned into an allegory in which he drove "snakes" out of Ireland, despite the fact that snakes were not known to inhabit the region. Celebrations generally involve public parades and festivals, Irish traditional music sessions (céilithe), and the wearing of green attire or shamrocks. There are also formal gatherings such as banquets and dances, although these were more common in the past. St Patrick's Day parades began in North America in the 18th century but did not spread to Ireland until the 20th century. The participants generally include marching bands, the military, fire brigades, cultural organisations, charitable organisations, voluntary associations, youth groups, fraternities, and so on. However, over time, many of the parades have become more akin to a carnival. More effort is made to use the Irish language, especially in Ireland, where the week of St Patrick's Day is "Irish language week". Since 2010, famous landmarks have been lit up in green on St Patrick's Day as part of Tourism Ireland's "Global Greening Initiative" or "Going Green for St Patrick´s Day". The Sydney Opera House and the Sky Tower in Auckland were the first landmarks to participate and since then over 300 landmarks in fifty countries across the globe have gone green for St Patricks day. Christians may also attend church services, and the Lenten restrictions on eating and drinking alcohol are lifted for the day. Perhaps because of this, drinking alcohol – particularly Irish whiskey, beer, or cider – has become an integral part of the celebrations. The St Patrick's Day custom of "drowning the shamrock" or "wetting the shamrock" was historically popular, especially in Ireland. At the end of the celebrations, a shamrock is put into the bottom of a cup, which is then filled with whiskey, beer, or cider. It is then drunk as a toast to St Patrick, Ireland, or those present. 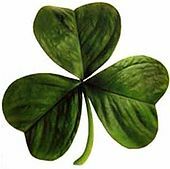 The shamrock would either be swallowed with the drink or taken out and tossed over the shoulder for good luck. Irish Government Ministers travel abroad on official visits to various countries around the globe to celebrate St Patrick's Day and promote Ireland. The most prominent of these is the visit of the Irish Taoiseach (Irish Prime Minister) with the U.S. President which happens on or around St Patrick's Day. Traditionally the Taoiseach presents the U.S. President a Waterford Crystal bowl filled with shamrocks. This tradition began when in 1952, Irish Ambassador to the U.S. John Hearne sent a box of shamrocks to President Harry S. Truman. From then on it became an annual tradition of the Irish ambassador to the U.S. to present the St Patrick's Day shamrock to an official in the U.S. President's administration, although on some occasions the shamrock presentation was made by the Irish Taoiseach or Irish President to the U.S. President personally in Washington, such as when President Dwight D. Eisenhower met Taoiseach John A. Costello in 1956 and President Seán T. O'Kelly in 1959 or when President Ronald Reagan met Taoiseach Garret FitzGerald in 1986 and Taoiseach Charles J. Haughey in 1987. However it was only after the meeting between Taoiseach Albert Reynolds and President Bill Clinton in 1994 that the presenting of the shamrock ceremony became an annual event for the leaders of both countries for St Patrick's Day. On St Patrick's Day, it is customary to wear shamrocks, green clothing or green accessories. St Patrick is said to have used the shamrock, a three-leaved plant, to explain the Holy Trinity to the pagan Irish. This story first appears in writing in 1726, though it may be older. In pagan Ireland, three was a significant number and the Irish had many triple deities, a fact that may have aided St Patrick in his evangelisation efforts. Patricia Monaghan says there is no evidence that the shamrock was sacred to the pagan Irish. However, Jack Santino speculates that it may have represented the regenerative powers of nature, and was recast in a Christian context‍—‌icons of St Patrick often depict the saint "with a cross in one hand and a sprig of shamrocks in the other". Roger Homan writes, "We can perhaps see St Patrick drawing upon the visual concept of the triskele when he uses the shamrock to explain the Trinity". The first association of the colour green with Ireland is from the 11th century pseudo-historical book Lebor Gabála Érenn (The Book of the Taking of Ireland), which forms part of the Mythological Cycle in Irish Mythology and describes the story of Goídel Glas who is credited as the eponymous ancestor of the Gaels and creator of the Goidelic languages (Irish, Scottish Gaelic, Manx). In the story Goídel Glas, who was the son of Scota and Niul, was bitten by a snake and was saved from death by Moses placing his staff on the snakebite. As a reminder of the incident he would retain a green mark that would stay with him and he would lead his people to a land that would be free of snakes. This is emphasized in his name Goídel which was anglicised to the word Gaelic and Glas which is the Irish word for green. Another story from the Lebor Gabála Érenn written after the adventures of Goídel Glas refers to Íth climbing the tower (in reference to the Tower of Hercules) his father Breogán builds in Brigantia (modern day Corunna in Galicia, Spain) on a winters day and is so captivated by the sight of a beautiful green island in the distance that he must set sail immediately. This story also introduces three national personifications of Ireland, Banba, Fódla and Ériu. The colour green was further associated with Ireland from the 1640s, when the green harp flag was used by the Irish Catholic Confederation. Green ribbons and shamrocks have been worn on St Patrick's Day since at least the 1680s. The Friendly Brothers of St Patrick, an Irish fraternity founded in about 1750, adopted green as its colour. However, when the Order of St. Patrick—an Anglo-Irish chivalric order—was founded in 1783 it adopted blue as its colour, which led to blue being associated with St Patrick. During the 1790s, green would become associated with Irish nationalism, due to its use by the United Irishmen. This was a republican organisation—led mostly by Protestants but with many Catholic members—who launched a rebellion in 1798 against British rule. The phrase "wearing of the green" comes from a song of the same name, which laments United Irishmen supporters being persecuted for wearing green. The late nineteenth and early twentieth centuries have seen the re-emergence of Irish cultural symbols, such as the Irish Language, Irish mythology, and the colour green, through the Gaelic Revival and the Irish Literary Revival which served to stir Irish nationalist sentiment. The influence of green was more prominently observable in the flags of the 1916 Easter Rising such as the Sunburst flag, the Starry Plough Banner, and the Proclamation Flag of the Irish Republic which was flown over the General Post Office, Dublin together with the Irish Tricolour. Throughout these centuries, the colour green and its association with St Patrick's Day grew. The wearing of the 'St Patrick's Day Cross' was also a popular custom in Ireland until the early 20th century. These were a Celtic Christian cross made of paper that was "covered with silk or ribbon of different colours, and a bunch or rosette of green silk in the centre". Saint Patrick's feast day, as a kind of national day, was already being celebrated by the Irish in Europe in the ninth and tenth centuries. In later times, he became more and more widely seen as the patron of Ireland. Saint Patrick's feast day was finally placed on the universal liturgical calendar in the Catholic Church due to the influence of Waterford-born Franciscan scholar Luke Wadding in the early 1600s. Saint Patrick's Day thus became a holy day of obligation for Roman Catholics in Ireland. It is also a feast day in the Church of Ireland, which is part of the worldwide Anglican Communion. The church calendar avoids the observance of saints' feasts during certain solemnities, moving the saint's day to a time outside those periods. St Patrick's Day is occasionally affected by this requirement, when 17 March falls during Holy Week. This happened in 1940, when Saint Patrick's Day was observed on 3 April to avoid it coinciding with Palm Sunday, and again in 2008, where it was officially observed on 15 March. St Patrick's Day will not fall within Holy Week again until 2160. However, the popular festivities may still be held on 17 March or on a weekend near to the feast day. In 1903, St Patrick's Day became an official public holiday in Ireland. This was thanks to the Bank Holiday (Ireland) Act 1903, an act of the United Kingdom Parliament introduced by Irish Member of Parliament James O'Mara. O'Mara later introduced the law which required that public houses be shut on 17 March after drinking got out of hand, a provision that was repealed in the 1970s. The first St Patrick's Day parade in Ireland was held in Waterford in 1903. The week of St Patrick's Day 1903 had been declared Irish Language Week by the Gaelic League and in Waterford they opted to have a procession on Sunday 15 March. The procession comprised the Mayor and members of Waterford Corporation, the Trades Hall, the various trade unions and bands who included the 'Barrack St Band' and the 'Thomas Francis Meagher Band'. The parade began at the premises of the Gaelic League in George's St and finished in the Peoples Park, where the public were addressed by the Mayor and other dignitaries. On Tuesday 17 March, most Waterford businesses—including public houses—were closed and marching bands paraded as they had two days previously. The Waterford Trades Hall had been emphatic that the National Holiday be observed. On St Patrick's Day 1916, the Irish Volunteers—an Irish nationalist paramilitary organisation—held parades throughout Ireland. The authorities recorded 38 St Patrick's Day parades, involving 6,000 marchers, almost half of whom were said to be armed. The following month, the Irish Volunteers launched the Easter Rising against British rule. This marked the beginning of the Irish revolutionary period and led to the Irish War of Independence and Civil War. During this time, St Patrick's Day celebrations in Ireland were muted, although the day was sometimes chosen to hold large political rallies. The celebrations remained low-key after the creation of the Irish Free State; the only state-organized observance was a military procession and trooping of the colours, and an Irish-language mass attended by government ministers. In 1927, the Irish Free State government banned the selling of alcohol on St Patrick's Day, although it remained legal in Northern Ireland. The ban was not repealed until 1961. The first official, state-sponsored St Patrick's Day parade in Dublin took place in 1931. In Northern Ireland, the celebration of St Patrick's Day was affected by sectarian divisions. A majority of the population were Protestant Ulster unionists who saw themselves as British, while a substantial minority were Catholic Irish nationalists who saw themselves as Irish. Although it was a public holiday, Northern Ireland's unionist government did not officially observe St Patrick's Day. During the conflict known as the Troubles (late 1960s–late 1990s), public St Patrick's Day celebrations were rare and tended to be associated with the Catholic community. In 1976, loyalists detonated a car bomb outside a pub crowded with Catholics celebrating St Patrick's Day in Dungannon; four civilians were killed and many injured. However, some Protestant unionists attempted to 're-claim' the festival, and in 1985 the Orange Order held its own St Patrick's Day parade. Since the end of the conflict in 1998 there have been cross-community St Patrick's Day parades in towns throughout Northern Ireland, which have attracted thousands of spectators. The first St Patrick's Festival was held on 17 March 1996. In 1997, it became a three-day event, and by 2000 it was a four-day event. By 2006, the festival was five days long; more than 675,000 people attended the 2009 parade. Overall 2009's five-day festival saw almost 1 million visitors, who took part in festivities that included concerts, outdoor theatre performances, and fireworks. The Skyfest which ran from 2006 to 2012 formed the centrepiece of the St Patrick's festival. The topic of the 2004 St Patrick's Symposium was "Talking Irish", during which the nature of Irish identity, economic success, and the future were discussed. Since 1996, there has been a greater emphasis on celebrating and projecting a fluid and inclusive notion of "Irishness" rather than an identity based around traditional religious or ethnic allegiance. The week around St Patrick's Day usually involves Irish language speakers using more Irish during Seachtain na Gaeilge ("Irish Language Week"). Christian leaders in Ireland have expressed concern about the secularisation of St Patrick's Day. In The Word magazine's March 2007 issue, Fr Vincent Twomey wrote, "It is time to reclaim St Patrick's Day as a church festival". He questioned the need for "mindless alcohol-fuelled revelry" and concluded that "it is time to bring the piety and the fun together". The biggest celebrations outside the cities are in Downpatrick, County Down, where Saint Patrick is said to be buried. The shortest St. Patrick's Day parade in the world formerly took place in Dripsey, County Cork. The parade lasted just 23.4 metres and traveled between the village's two pubs. The annual event began in 1999, but ceased after five years when one of the two pubs closed. In England, the British Royals traditionally present bowls of shamrock to members of the Irish Guards, a regiment in the British Army, following Queen Alexandra introducing the tradition in 1901. Since 2012 the Duchess of Cambridge has presented the bowls of shamrock to the Irish Guards. While female royals are often tasked with presenting the bowls of shamrock, male royals have also undertaking the role, such as King George VI in 1950 to mark the 50th anniversary of the formation of the Irish Guards, and in 2016 the Duke of Cambridge in place of his wife. Fresh Shamrocks are presented to the Irish Guards, regardless of where they are stationed, and are flown in from Ireland. While some St Patrick's Day celebrations could be conducted openly in Britain pre 1960s, this would change following the commencement by the IRA's bombing campaign on mainland Britain and as a consequence this resulted in a suspicion of all things Irish and those who supported them which led to people of Irish descent wearing a sprig of shamrock on St Patrick's day in private or attending specific events. Today after many years following the Good Friday Agreement, people of Irish descent openly wear a sprig of shamrock to celebrate their Irishness. Birmingham holds the largest St Patrick's Day parade in Britain with a city centre parade over a two-mile (3 km) route through the city centre. The organisers describe it as the third biggest parade in the world after Dublin and New York. London, since 2002, has had an annual St Patrick's Day parade which takes place on weekends around the 17th, usually in Trafalgar Square. In 2008 the water in the Trafalgar Square fountains was dyed green. The first Saint Patrick's Day celebrations in Malta took place in the early 20th century by soldiers of the Royal Dublin Fusiliers who were stationed in Floriana. Celebrations were held in the Balzunetta area of the town, which contained a number of bars and was located close to the barracks. The Irish diaspora in Malta continued to celebrate the feast annually. Today, Saint Patrick's Day is mainly celebrated in Spinola Bay and Paceville areas of St Julian's, although other celebrations still occur at Floriana and other locations. Thousands of Maltese attend the celebrations, which are more associated with drinking beer than traditional Irish culture. Moscow hosts an annual Saint Patrick's Day festival. The first St Patrick's Day parade took place in Russia in 1992. Since 1999, there has been a yearly "Saint Patrick's Day" festival in Moscow and other Russian cities. The official part of the Moscow parade is a military-style parade and is held in collaboration with the Moscow government and the Irish embassy in Moscow. The unofficial parade is held by volunteers and resembles a carnival. In 2014, Moscow Irish Week was celebrated from 12 to 23 March, which includes St Patrick's Day on 17 March. Over 70 events celebrating Irish culture in Moscow, St Petersburg, Yekaterinburg, Voronezh, and Volgograd were sponsored by the Irish Embassy, the Moscow City Government, and other organisations. In 2017, the Russian Orthodox Church added the feast day of Saint Patrick to its liturgical calendar, to be celebrated on 30 March [O.S. 17 March]. Sarajevo, the capital city of Bosnia and Herzegovina has a large Irish expatriate community. The community established the Sarajevo Irish Festival in 2015, which is held for three days around and including St. Patrick's Day. The festival organizes an annual a parade, hosts Irish theatre companies, screens Irish films and organizes concerts of Irish folk musicians. The festival has hosted numerous Irish artists, filmmakers, theatre directors and musicians such as Conor Horgan, Ailis Ni Riain, Dermot Dunne, Mick Moloney, Chloë Agnew and others. Glasgow has a considerably large Irish population; due, for the most part, to the Irish immigration during the 19th century. This immigration was the main cause in raising the population of Glasgow by over 100,000 people. Due to this large Irish population, there are many Irish-themed pubs and Irish interest groups who hold yearly celebrations on St Patrick's day in Glasgow. Glasgow has held a yearly St Patrick's Day parade and festival since 2007. While Saint Patrick's Day in Switzerland is commonly celebrated on 17 March with festivities similar to those in neighbouring central European countries, it is not unusual for Swiss students to organise celebrations in their own living spaces on St Patrick's Eve. Most popular are usually those in Zurich's Kreis 4. Traditionally, guests also contribute with beverages and dress in green. St Patrick's parades are now held in many locations across Japan. The first parade, in Tokyo, was organised by The Irish Network Japan (INJ) in 1992. The Irish Association of Korea has celebrated Saint Patrick's Day since 1976 in Seoul, the capital city of South Korea. The place of the parade and festival has been moved from Itaewon and Daehangno to Cheonggyecheon. In Malaysia, the St Patrick's Society of Selangor, founded in 1925, organises a yearly St Patrick's Ball, described as the biggest St Patrick's Day celebration in Asia. Guinness Anchor Berhad also organises 36 parties across the country in places like the Klang Valley, Penang, Johor Bahru, Malacca, Ipoh, Kuantan, Kota Kinabalu, Miri and Kuching. The island of Montserrat is known as the "Emerald Island of the Caribbean" because of its founding by Irish refugees from Saint Kitts and Nevis. Montserrat is one of three places where St Patrick's Day is a public holiday, along with Ireland and the Canadian province of Newfoundland & Labrador. The holiday in Montserrat also commemorates a failed slave uprising that occurred on 17 March 1768. Astronauts on board the International Space Station have celebrated the festival in different ways. Irish-American Catherine Coleman played a hundred-year-old flute belonging to Matt Molloy and a tin whistle belonging to Paddy Moloney, both members of the Irish music group The Chieftains, while floating weightless in the space station on Saint Patrick's Day in 2011. Her performance was later included in a track called "The Chieftains in Orbit" on the group's album, Voice of Ages. Chris Hadfield took photographs of Ireland from Earth orbit, and a picture of himself wearing green clothing in the space station, and posted them online on Saint Patrick's Day in 2013. He also posted online a recording of himself singing "Danny Boy" in space. Montreal hosts one of the longest-running and largest St Patrick's Day parades in North America. 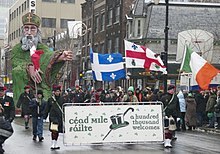 One of the longest-running and largest St Patrick's Day parades in North America occurs each year in Montreal, whose city flag includes a shamrock in its lower-right quadrant. The yearly celebration has been organised by the United Irish Societies of Montreal since 1929. The parade has been held yearly without interruption since 1824. St Patrick's Day itself, however, has been celebrated in Montreal since as far back as 1759 by Irish soldiers in the Montreal Garrison following the British conquest of New France. In Saint John, New Brunswick St. Patrick's Day is celebrated as a week-long celebration. Shortly after the JP Collins Celtic Festival is an Irish festival celebrating Saint John's Irish heritage. The festival is named for a young Irish doctor James Patrick Collins who worked on Partridge Island (Saint John County) quarantine station tending to sick Irish immigrants before he died there himself. In Manitoba, the Irish Association of Manitoba runs a yearly three-day festival of music and culture based around St Patrick's Day. In 2004, the CelticFest Vancouver Society organised its first yearly festival in downtown Vancouver to celebrate the Celtic Nations and their cultures. This event, which includes a parade, occurs each year during the weekend nearest St Patrick's Day. In Quebec City, there was a parade from 1837 to 1926. The Quebec City St-Patrick Parade returned in 2010 after more than 84 years. For the occasion, a portion of the New York Police Department Pipes and Drums were present as special guests. There has been a parade held in Toronto since at least 1863. There is a large parade in the city's downtown on the Sunday before 17 March which attracts over 100,000 spectators. The Toronto Maple Leafs hockey team was known as the Toronto St. Patricks from 1919 to 1927, and wore green jerseys. In 1999, when the Maple Leafs played on St Patrick's Day, they wore green St Patrick's retro uniforms. Some groups, notably Guinness, have lobbied to make Saint Patrick's Day a national holiday. In March 2009, the Calgary Tower changed its top exterior lights to new green CFL bulbs just in time for St Patrick's Day. Part of an environmental non-profit organisation's campaign (Project Porchlight), the green represented environmental concerns. Approximately 210 lights were changed in time for Saint Patrick's Day, and resembled a Leprechaun's hat. After a week, white CFLs took their place. The change was estimated to save the Calgary Tower some $12,000 and reduce greenhouse gas emissions by 104 tonnes. The Saint Patrick's Battalion is honored in Mexico on Saint Patrick's Day. St Patrick's Day, while not a legal holiday in the United States, is nonetheless widely recognised and observed throughout the country as a celebration of Irish and Irish-American culture. Celebrations include prominent displays of the colour green, religious observances, numerous parades, and copious consumption of alcohol. The holiday has been celebrated in North America since the late 18th century. Celebrations in Buenos Aires centre on Reconquista street. In Buenos Aires, a party is held in the downtown street of Reconquista, where there are several Irish pubs; in 2006, there were 50,000 people in this street and the pubs nearby. Neither the Catholic Church nor the Irish community, the fifth largest in the world outside Ireland, take part in the organisation of the parties. Some argue that Saint Patrick's Day has become too commercialised and tacky. St Patrick's Day celebrations have been criticised, particularly for their association with public drunkenness and disorderly conduct. Some argue that the festivities have become too commercialised and tacky, and have strayed from their original purpose of honouring St Patrick and Irish heritage. Journalist Niall O'Dowd has criticised attempts to recast St Patrick's Day as a celebration of multiculturalism rather than a celebration of Irishness. St Patrick's Day celebrations have also been criticised for fostering demeaning stereotypes of Ireland and Irish people. An example is the wearing of 'leprechaun outfits', which are based on derogatory 19th century caricatures of the Irish. In the run up to St Patrick's Day 2014, the Ancient Order of Hibernians successfully campaigned to stop major American retailers from selling novelty merchandise that promoted negative Irish stereotypes. Some[who?] have described St Patrick's Day celebrations outside Ireland as displays of "Plastic Paddyness"; where foreigners appropriate and misrepresent Irish culture, claim Irish identity, and enact Irish stereotypes. LGBT groups in the US were banned from marching in St. Patrick's Day parades in New York City and Boston, resulting in the landmark Supreme Court decision of Hurley v. Irish-American Gay, Lesbian, and Bisexual Group of Boston. In New York City, the ban was lifted in 2014, but LGBT groups still find that barriers to participation exist. In Boston, the ban on LGBT group participation was lifted in 2015. Traditionally the All-Ireland Senior Club Football Championship and All-Ireland Senior Club Hurling Championship are held on Saint Patrick's Day in Croke Park, Dublin. The Interprovincial Championship was previously held on 17 March but this was switched to games being played in Autumn. The Leinster Schools Rugby Senior Cup, Munster Schools Rugby Senior Cup and Ulster Schools Senior Cup are held on Saint Patrick's Day. The Connacht Schools Rugby Senior Cup is held on the weekend before Saint Patrick's Day. Horse racing at the Cheltenham Festival attracts large numbers of Irish people, both residents of Britain and many who travel from Ireland, and usually coincides with St Patrick's Day. The Six Nations Championship is an annual international rugby Union tournament competed by England, France, Ireland, Italy, Scotland, and Wales and reaches its climax on or around St Patrick's Day. On St Patrick's Day 2018, Ireland defeated England 24–15 at Twickenham, London to claim the third Grand Slam in their history. The Saint Patrick's Day Test is an international rugby league tournament that is played between the US and Ireland. The competition was first started in 1995 with Ireland winning the first two tests with the US winning the last four in 2000, 2002, 2003 and 2004. The game is usually held on or around 17 March to coincide with Saint Patrick's Day. The major professional sports leagues of the United States and Canada that play during March often wear special third jerseys to acknowledge the holiday. Examples include the Buffalo Sabres (who have worn special Irish-themed practice jerseys), Toronto Maple Leafs (who wear Toronto St. Patricks throwbacks), New York Knicks, Toronto Raptors, and most Major League Baseball teams. The New Jersey Devils have worn their green-and-red throwback jerseys on or around Saint Patrick's Day in recent years. "It's a Great Day for the Irish"
^ Doug Bolton (16 March 2016). "One Irish creative agency is leading the charge against 'St. Patty's Day'". The Independent. That's the thinking behind the No More Patty Google Chrome extension, created by Dublin-based creative agency in the Company of Huskies. The extension can be installed in a few clicks, and automatically replaces every online mention of the "very wrong" 'Patty' with the "absolutely right" 'Paddy'. ^ Aric Jenkins (15 March 2017). "Why Some Irish People Don't Want You to Call It St. Patty's Day". Time. ^ "St Patrick's Day celebrations". Church of Ireland. The Irish Times. 12 March 2011. Archived from the original on 15 May 2011. Retrieved 17 March 2013 – via ireland.anglican.org. ^ a b c d e Willard Burgess Moore (1989). Circles of Tradition: Folk Arts in Minnesota. Minnesota Historical Society Press. p. 52. Retrieved 13 November 2010. In nineteenth-century America it became a celebration of Irishness more than a religious occasion, though attending Mass continues as an essential part of the day. ^ a b c d Willard Burgess Moore (1989). Circles of Tradition: Folk Arts in Minnesota. Minnesota Historical Society Press. p. 52. Retrieved 13 November 2010. The religious occasion did involve the wearing of shamrocks, an Irish symbol of the Holy Trinity, and the lifting of Lenten restrictions on drinking. ^ a b Edna Barth (2001). Shamrocks, Harps, and Shillelaghs: The Story of the St. Patrick's Day Symbols. Sandpiper. p. 7. Retrieved 13 November 2010. For most Irish-Americans, this holiday is partially religious but overwhelmingly festive. For most Irish people in Ireland the day has little to do with religion at all. St. Patrick's Day church services are followed by parades and parties, the latter being the best attended. The festivities are marked by Irish music, songs, and dances. ^ a b c John Nagle (2009). Multiculturalism's Double-Bind. Ashgate Publishing. ISBN 978-0-754-67607-2. Retrieved 13 November 2010. Like many other forms of carnival, St. Patrick's Day is a feast day, a break from Lent in which adherents are allowed to temporarily abandon rigorous fasting by indulging in the forbidden. Since alcohol is often proscribed during Lent the copious consumption of alcohol is seen as an integral part of St. Patrick's day. ^ a b James Terence Fisher. Communion of Immigrants: A History of Catholics in America. Oxford University Press. Retrieved 13 November 2010. The 40-day period (not counting Sundays) prior to Easter is known as Lent, a time of prayer and fasting. Pastors of Irish- American parishes often supplied "dispensations" for St. Patrick s Day, enabling parishioners to forego Lenten sacrifices in order to celebrate the feast of their patron saint. ^ "Public holidays in Ireland". Citizens Information Board. Retrieved 13 November 2010. ^ "Bank holidays". NI Direct. Archived from the original on 22 November 2010. Retrieved 13 November 2010. ^ "Confession of St. Patrick". Christian Classics Ethereal Library at Calvin College. Retrieved 10 March 2010. ^ Cronin & Adair (2002), p. xxiii. ^ St Patrick's Day: Globe Goes Green. (17 March 2018). BBC News. Retrieved 8 January 2019. ^ Cronin & Adair (2002), p. 26. ^ Santino, Jack (1995). All Around the Year: Holidays and Celebrations in American Life. University of Illinois Press. p. 82. ^ Donal Hickey (17 March 2014). "The facts about shamrock". Irish Examiner. ^ Vernon, Jennifer (15 March 2004). "St. Patrick's Day: Fact vs. Fiction". National Geographic News. p. 2. Retrieved 31 March 2009. ^ Newell, Jill (16 March 2000). "Holiday has history". Daily Forty-Niner. Retrieved 21 March 2009. ^ a b Monaghan, Patricia (1 January 2009). The Encyclopedia of Celtic Mythology and Folklore. Infobase Publishing. ISBN 978-1-438-11037-0. There is no evidence that the clover or wood sorrel (both of which are called shamrocks) were sacred to the Celts in any way. However, the Celts had a philosophical and cosmological vision of triplicity, with many of their divinities appearing in three. Thus when St. Patrick, attempting to convert the Druids on Beltane, held up a shamrock and discoursed on the Christian Trinity, the three-in-one god, he was doing more than finding a homely symbol for a complex religious concept. He was indicating knowledge of the significance of three in the Celtic realm, a knowledge that probably made his mission far easier and more successful than if he had been unaware of that number's meaning. ^ Hegarty, Neil (24 April 2012). Story of Ireland. Ebury Publishing. ISBN 978-1-448-14039-8. In some ways, though, the Christian mission resonated: pre-Christian devotion was characterized by, for example, the worship of gods in groups of three, by sayings collected in threes (triads), and so on – from all of which the concept of the Holy Trinity was not so very far removed. Against this backdrop the myth of Patrick and his three-leafed shamrock fits quite neatly. ^ Santino, Jack (1995). All Around the Year: Holidays and Celebrations in American Life. University of Illinois Press. p. 80. ISBN 978-0-252-06516-3. ^ Homan, Roger (2006). The Art of the Sublime: Principles of Christian Art and Architecture. Ashgate Publishing. p. 37. ^ a b c Koch, John T. (2005). Celtic Culture: A Historical Encyclopedia. Vol. 1 A-Celti. Oxford: ABC-Clio. ISBN 978-1-851-09440-0. Retrieved 14 March 2018. ^ a b c Mackillop, James (2005). Myths and Legends of the Celts. London: Penguin Books. pp. 145–146. ISBN 978-0-141-01794-5. Retrieved 14 March 2018. ^ a b Macalister, Robert Alexander Stewart (1939). Lebor Gabála Érenn: The Book of the Taking of Ireland. Volume 2. Dublin: Irish Texts Society by the Educational Co. of Ireland. Retrieved 14 March 2018. ^ Cronin & Adair (2002). ^ The Fundamental Laws, Statutes and Constitutions of the Ancient Order of the Friendly Brothers of Saint Patrick. 1751. ^ St. Patrick: Why Green? – video. History.com. A&E Television Networks. Archived from the original on 7 March 2010. Retrieved 17 March 2010. ^ "The Catholic Encyclopedia: Luke Wadding". Retrieved 15 February 2007. ^ MacDonald, G. Jeffrey (6 March 2008). "St. Patrick's Day, Catholic Church march to different drummers". USA Today. Retrieved 11 March 2008. ^ Nevans-Pederson, Mary (13 March 2008). "No St. Pat's Day Mass allowed in Holy Week". Dubuque Telegraph Herald. Woodward Communications, Inc. Archived from the original on 16 October 2008. Retrieved 13 March 2008. ^ "James O'Mara". HumphrysFamilyTree.com. Retrieved 17 March 2014. ^ Cronin & Adair (2002), p. 105. ^ Cronin & Adair (2002), p. 108. ^ Cronin & Adair (2002), p. 134. ^ Cronin & Adair (2002), pp. 135–136. ^ a b c d e Cronin & Adair (2002), pp. 175–177. ^ "The History of the Holiday". The History Channel. A&E Television Networks. Archived from the original on 7 August 2006. Retrieved 17 March 2013. ^ "St. Patrick's Festival was established by the Government of Ireland in November 1995". St. Patrick's Festival. Archived from the original on 12 March 2012. Retrieved 20 March 2012. ^ "St. Patrick's Day Facts Video". History.com. A&E Television Networks. Retrieved 17 March 2013. ^ John Cooney (12 March 2007). "More piety, fewer pints 'best way to celebrate'". The Irish Independent. ^ Jo Kerrigan (March–April 2004). "From Here to Here". Ireland of the Welcomes. Vol. 53 no. 2. Retrieved 6 June 2010 – via Dripsey. ^ Mcbrien, Richard P. Lives of the Saints: From Mary and St. Francis of Assisi to John XXIII and Mother Teresa. HarperOne. Retrieved 13 November 2010. The most famous church in the United States is dedicated to him, St. Patrick's in New York City. St. Patrick's Day is celebrated by people of all ethnic backgrounds by the wearing of green and parades. His feast, which is on the General Roman Calendar, has been given as March 17 in liturgical calendars and martyrologies. The Church of England, the Episcopal Church in the USA, and the Evangelical Lutheran Church in America observe his feast on this day, and he is also commemorated on the Russian Orthodox calendar. ^ "Brigitte Winsor: Photographs of the St Patrick's Day Parade". Connecting Histories. 12 March 2006. Archived from the original on 22 July 2011. Retrieved 17 March 2010. ^ "St. Patrick's Parade 2009". BBC Birmingham. 18 March 2009. Retrieved 15 March 2015. ^ "Irish Immigration to and from Liverpool (UK)". Mersey Reporter. Retrieved 17 March 2013. ^ "Manchester Irish Festival". Manchester Irish Festival. Retrieved 17 March 2010. ^ a b Micallef, Roberta (18 March 2018). "St Patrick's Day in Malta – how it started, and where it's going". The Malta Independent. Archived from the original on 18 March 2018. ^ Azzopardi, Karl (17 March 2018). "Thousands take to the street of St Julian's for St Patrick's Day celebrations". Malta Today. Archived from the original on 17 March 2018. ^ "Malta celebrates St Patrick's Day". Times of Malta. 15 March 2015. Archived from the original on 21 April 2016. ^ Grech Urpani, David (8 March 2018). "Finally: A Fresh Take On St. Patrick's Day Celebrations Is Coming To Malta". Lovin Malta. Archived from the original on 16 March 2018. ^ Micallef, Roberta (17 March 2018). "More than 20,000 people expected to celebrate St Patrick's Day in St Julian's". The Malta Independent. Archived from the original on 17 March 2018. ^ "Thousands flock to St Julian's to celebrate St Patrick's feast". The Malta Independent. 17 March 2018. Archived from the original on 17 March 2018. ^ Москва. День Св. Патрика [Moscow. St. Patrick's Day] (in Russian). Русское Кельтское Общество [Russian Celtic Society]. 1999–2007. Archived from the original on 17 April 2012. Retrieved 29 May 2012. ^ Andersen, Erin (17 March 2013). "St. Patty's Day: Not just green beer – but some of that, too". Lincoln Journal Star. Archived from the original on 18 May 2013. ^ Cuddihy, Grace (18 March 2014). "Muscovites Turn Green For Irish Week". The Moscow Times. ^ "В месяцеслов Русской Православной Церкви включены имена древних святых, подвизавшихся в западных странах" [Ancient saints who worked in Western countries have been added to the menologium of the Russian Orthodox Church]. Patriarchia.ru (in Russian). 9 March 2017. Retrieved 12 March 2017. ^ "Sarajevo Irish Festival". Sarajevo Travel. ^ "Sarajevo Irish Festival". stpatricksfestival.ie. ^ "Pripremljen bogat program za ovogodišnji Sarajevo Irish Festival". klix.ba. ^ "Conor Horgan: Film o Panti Bliss je o tome kako lično jeste političko". lgbti.ba. ^ "Večeras otvaranje Sarajevo Irish Festivala". avaz.ba. ^ "Irish emigration to Scotland in the 19th and 20th centuries – Settlement of the Irish". Education Scotland. Government of Scotland. Archived from the original on 20 March 2015. Retrieved 17 March 2015. ^ a b "The Coatbridge Irish". St Patrick's Day Festival Coatbridge. Archived from the original on 8 July 2007. Retrieved 17 March 2015. ^ "St Patrick's Day in Coatbridge, Scotland". Coming to Scotland. 14 March 2015. Retrieved 17 March 2015. ^ Michael Moss. "Industrial Revolution: 1770s to 1830s". The Glasgow Story. Retrieved 17 March 2012. ^ "Welcome to the Glasgow St. Patrick's Festival 2018 Website". Glasgow's St. Patrick's Festival. St. Patrick's Festival Committee. Retrieved 20 March 2018. ^ "St. Patrick's Eve Celebrations 2012 in Zürich" (in German). Zurich Student Association. Retrieved 20 February 2012. ^ "Saint Patrick's Day Parades & Events in Japan". Archived from the original on 8 May 2013. Retrieved 24 April 2013. ^ "Saint Patrick's Day in Korea Event Page". Irish Association of Korea. Archived from the original on 14 March 2010. Retrieved 17 March 2010. ^ Fergus, Howard A. (1996). Gallery Montserrat: some prominent people in our history. Canoe Press University of West Indies. p. 83. ISBN 976-8125-25-X. Retrieved 24 December 2010. ^ Tariq Malik (17 March 2011). "Irish Astronaut in Space Gives St. Patrick's Day Musical Flair". Space.com. ^ "St. Patrick's Day Greeting From Space". NASA TV video. 17 March 2011. ^ Diarmaid Fleming (15 December 2010). "Molloy's flute to help Irish music breach the final frontier". Irish Times. ^ Brian Boyd (10 March 2012). "Chieftains' call-up to an army of indie admirers". Irish Times. ^ Ronan McGreevy (17 March 2013). "Out of this world rendition of Danny Boy marks St Patrick's Day in space". The Irish Times. ^ "Astronaut Chris Hadfield singing "Danny Boy" on the International Space Station". Soundcloud. 17 March 2013. ^ "Montreal celebrates 191st St. Patrick's Day parade Sunday". CBC News. Canadian Broadcasting Corporation. 11 March 2014. Retrieved 17 March 2014. ^ "Coming Events". Irish Association of Manitoba. Retrieved 19 March 2018. ^ "CelticFest Vancouver". Celticfest Vancouver. Retrieved 19 March 2018. ^ Cottrell, Michael (May 1992). "St. Patrick's Day Parades in Nineteenth-Century Toronto: A Study of Immigrant Adjustment and Elite Control". Histoire sociale – Social History. XXV (49): 57–73. Retrieved 17 March 2015. ^ "Guinness". Proposition 3–17. Archived from the original on 23 March 2010. Retrieved 17 March 2010. ^ Bevan, Alexis (11 March 2009). "Calgary Tower gets full green bulb treatment". Calgary Herald. Archived from the original on 30 March 2009. Retrieved 17 March 2010. ^ Talley, Patricia Ann (28 February 2019). "Mexico Honors Irish Soldiers On St. Patrick's Day-The "San Patricios"". Imagine Mexico. Retrieved 21 March 2019. ^ "Saint Patrick's Day in Argentina". Sanpatricio2009.com.ar. 17 March 2009. Archived from the original on 27 July 2013. Retrieved 17 March 2013. ^ Saint Patrick's Day in Argentina on YouTube. Retrieved 17 March 2009. ^ "San Patricio convocó a una multitud". Clarin.com. 18 March 2006. Retrieved 17 March 2012. ^ Nally, Pat (1992). "Los Irlandeses en la Argentina". Familia, journal of the Ulster Historical Foundation. 2 (8). Retrieved 6 November 2010. ^ Fionola Meredith (21 March 2013). "Time to banish perpetually offended elements in society". Belfast Telegraph. ^ James Flannery (17 March 2012). "St Patrick's Day celebrates the role of all US migrants". The Irish Times. ^ "Irish-American Catholics negotiate St. Patrick's Day and Holy Week conflict". Catholic News Agency. 7 March 2008. ^ a b Cronin & Adair (2002), p. 240. ^ Niall O'Dowd (18 March 2012). "Please, let's keep political correctness out of Saint Patrick's Day". IrishCentral. ^ Ian O'Doherty (17 March 2015). "St Patrick's Day – when everyone's proud to be a stereotype". Irish Independent. ^ Venable, Shannon (2011). Gold: A Cultural Encyclopedia. ABC-CLIO. pp. 196–197. ^ Jennifer Harper (16 March 2014). "O'Done with It: Irish Americans protest 'negative stereotyping' as bawdy drunks". The Washington Times. Retrieved 23 March 2018. ^ Massie, Alex (17 March 2006). "Erin Go Argh!". National Review Online. ^ Santora, Mark (3 September 2014). "Gay Groups to March in St. Patrick's Day Parade as Ban Falls". The New York Times. Retrieved 17 March 2016. ^ Fitzgerald, Jim (3 September 2014). "Gays Scoff at NY St. Patrick's Day Parade Decision". Huffington Post. Archived from the original on 24 March 2016. Retrieved 17 March 2016. ^ Worland, Justin (15 March 2015). "Boston Sees Historic St. Patrick's Day Parade". Time. Retrieved 17 March 2016. ^ "The day the world turns green". BBC News. 17 March 1998. Retrieved 17 March 2013. ^ Chere, Rich (16 March 2015). "How do the Devils feel about wearing the green and red retro jerseys?". NJ.com. Retrieved 21 February 2017. Cronin, Mike; Adair, Daryl (2002). The Wearing of the Green: A History of St. Patrick's Day. Routledge. ISBN 978-0-415-18004-7. Wikimedia Commons has media related to Saint Patrick's Day.